Seven months after their push for a hike in the state gas tax died, road and bridge advocates are scrambling to see what, if any, other options are available for traffic relief. “It is a quality-of-life issue in Louisiana, especially in the capital region,” said House Transportation Committee Chairman Kenny Havard, (R-St. Francisville). Motorist complaints are daily fare, especially in the Baton Rouge area, and report after report has criticized road and bridge conditions in Louisiana. The state is also near the bottom nationally in terms of how long it has been since its gas tax rose — nearly three decades. But a bill to increase the gas tax by 17 cents per gallon, bringing in $510 million per year, died in the Legislature last year without a floor vote in either chamber. Critics said voters were simply unwilling to pay more regardless of traffic woes. However, state Rep. Steve Carter, (R-Baton Rouge), the sponsor of that measure, said he is not giving up. Carter’s latest plan is a constitutional amendment that would allow local voters, such as those in parishes in the Baton Rouge area, to approve a gas tax hike of their own. “That is the one thing we are going to try,” he said. Without any action on that plan, he said, “we are probably three or four years down the road” before the Legislature debates the issue again. Legislative rules prevent tax hike debates in 2018 and 2020, and 2019 is an election year, which means major tax hikes then are highly unlikely. Shawn Wilson, secretary of the state Department of Transportation and Development, led the push last year for a gas tax increase. He said giving voters in a region the chance to approve a tax increase is not the answer. “The reality is you cannot solve any of the Baton Rouge megaprojects with a local option,” he said. Motorists pay 38.4 cents extra per gallon at the gas pump, including 20 cents in state charges. Each penny raises about $30 million per year. That means if voters in a five- or six-parish region approved an increase in the gasoline tax, it would raise only a fraction of $30 million annually. “You get no money, so you get nothing done,” Wilson said. A new bridge across the Mississippi River in Baton Rouge would cost at least $1 billion. Wilson and others also said any such effort could undermine chances for an already uphill battle to pass a statewide gasoline tax increase. Voters who already taxed themselves to improve roads and bridges in their area would have little interest in endorsing a statewide boost. Carter’s plan, like the failed hike in the statewide gas tax, faces huge hurdles in the Legislature. As a constitutional amendment, it would require the support of two-thirds of the Louisiana House and Senate, and a majority of voters statewide, to take effect. Liz Smith, senior vice president of economic competitiveness for the Baton Rouge Area Chamber, said her group does not want 2018 to go to waste. “In the capital region, we cannot afford to wait,” she said. Traffic gridlock is causing twin problems, she said. One is luring firms to the area. The other is traffic obstacles to hauling goods. However, Smith said BRAC officials, who backed last year’s gas tax push, are not ready to support Carter’s plan or others. “We are looking at what our options are,” she said. The dominant issue again for Gov. John Bel Edwards and the Legislature is how to fix Louisiana’s looming, $1 billion-plus shortfall for state services starting July 1. A special session on budget problems is possible in February. The regular session begins March 12. “We recognize that the big budget crisis is going to take precedence over everything else,” said Ken Perret, president of the Louisiana Good Roads and Transportation Association. Perret said his group, which backed the 2017 push for a higher gas tax, plans to try to educate the public on state transportation needs — “try to get the public to demand some action from the Legislature,” he said. Since the gas tax push died in June, the usually optimistic Wilson has been blunt in describing the fallout. In November, he told engineers that motorists face more frustrations, pricier projects because of delays getting work started and poorly rated roads and bridges. “We have a wheelbarrow full of needs and a thimble full of money,” Wilson told a legislative committee in October. Senate Transportation Committee Chairman Page Cortez, R-Lafayette, said public-private partnerships could offer short-term relief. “We are seeing that with Belle Chasse, and we may see it again with some other projects, possibly in the near future,” he said. Wilson’s agency is trying to launch a $122 million plan to replace the Belle Chasse tunnel and nearby Perez Bridge with money from private investors and limited state dollars. 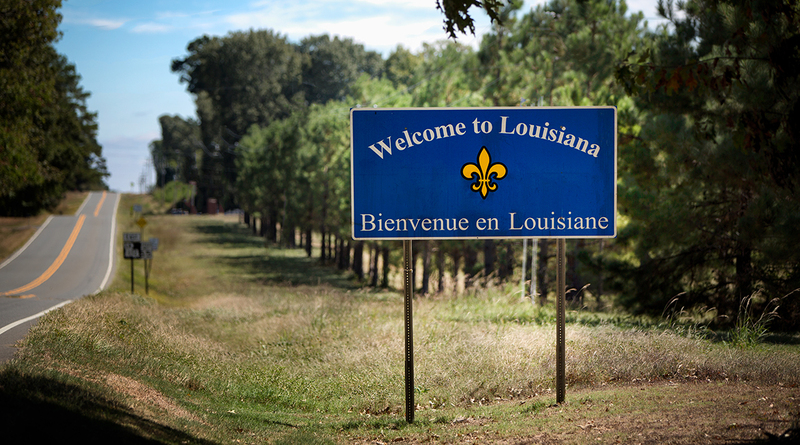 The arrangement would be the first of its kind in Louisiana. Citing a common refrain from the 2017 debate, Havard said voter distrust in how the state uses road and bridge dollars is a huge stumbling block in winning support for higher gasoline taxes. He noted that two of the 16 projects voters approved in 1989 along with a four-cent hike in the gas tax remain undone more than a quarter of a century later. “I don’t feel like we have done anything to address the transportation issue, just like we have done nothing to address the qualify-of-life issues in Louisiana. We are going backward,” he said.